ExpressVPN Review - Is the ideal service provider for you needs? For a long time, ExpressVPN has been not only a crowd favourite, but it has also been the world’s favourite VPN services. With the very best all-around performance of any VPN, and with the highest speeds, reliability, customer service and the all-important privacy. The VPN market is crowded, and numerous VPN providers are upping their game regarding what they offer. There are also a few newcomers who have taken a leaf from ExpressVPN’s book on how to deliver a world class service. The question is, is there users who are jumping to another VPN provider, or new users who are considering another? If so, why are they, or does ExpressVPN still rule the roost when it comes to being the top of the VPN list? Unlike other VPN’s the breadth of useful features that ExpressVPN delivers on can be overwhelming. It isn’t a VPN’s that crams in for the sake of looking good, and then users find out they don’t work as advertised. At first glance from the ExpressVPN apps or client software, you might think they don’t offer that much, but most of the good stuff happens in the background. 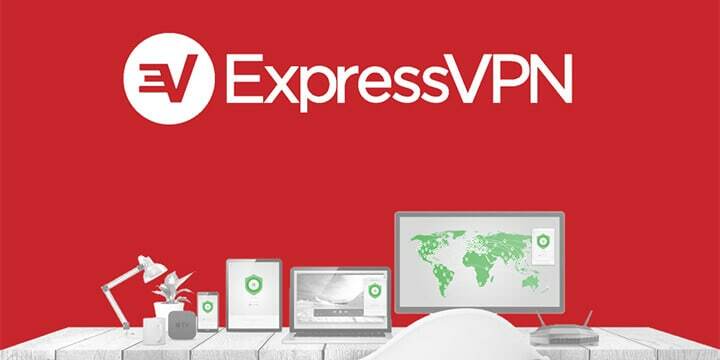 The one important criteria that are the primary goal of ExpressVPN is to get you connected in a safe and secure manner. This it does with very little intervention from users apart from hitting the large connect button. This ease of connection in the user interface has been copied by many other VPN’s. Here are some of the features that users take for granted because they are there, and they work. Users might think the service isn’t that configurable or tweakable from inside the client. This is true and is for a couple of reasons. ExpressVPN is ready to go as soon as you install their client software. There is no user intervention required for this vpn server. Secondly, with some of the tweaking aspects removed, users who might be new to using a VPN can’t break anything by accident. Encryption is rock solid and is the same 256-bit AES encryption that offers bank-grade security. This is as a minimum, but if you wish, you can raise levels of security using any of the following encryption types 256-AES, RSA-1024, RSA-4096, or VPN protocols, IPSec, OpenVPN, PPTP, SSTP. Another security feature is the killswitch, and one many other VPN services don’t include. If you lose your VPN connection and you are perhaps torrenting or doing something else online you don’t want anyone to know about. The killswitch kills your connection (immediately). Next up is split tunnelling. With this, you can choose which programs go through the VPN or are directed through your ISP. This might not appear to be important, but you can be doing something else online while your torrents are downloading, and your ISP won’t be any the wiser. One major area that can dictate what VPN user chooses can be streaming. In some cases, it might not be illegal, as in the case of some Kodi add-ons content. But they can be geo-blocked such as Netflix America and the BBC iPlayer. Both of these are geo-restricted but legal. However, there are a lot of ISP’s that will throttle connections that are streaming. This makes any viewing more difficult, and it also spoils the connection for the rest of your family. 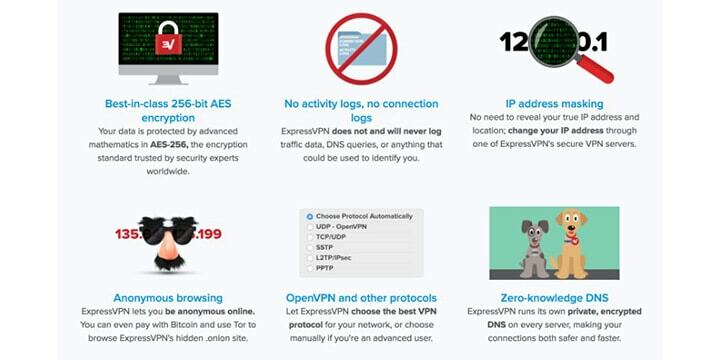 ExpressVPN has one of the best VPN networks with more than enough servers to allow access to these streaming services. When you connect to a server in the US for example, your ISP has no idea that you are streaming, so no connection throttling. ExpressVPN is also the best VPN for accessing both US Netflix and the BBC iPlayer with no problems. Amazon Prime video and Hulu are accessed just as easy. DNS leak protection is also included. Your IP address will never be seen, and to test for this, ExpressVPN comes with its own set of tools. It has its own diagnostics tool to check for connection problems, and this is helpful when you might have a problem because this is what you would send to the support staff. There is also an integrated speed test where you can test your ExpressVPN download speeds, their own IP address checker and their own DNS leak test, this allows you to check your connection without heading off to third-party websites. ExpressVPN supports more devices than you can list, many of which have client software apps without the need for manual configuration. One device support it does offer that a lot of other providers don’t is routers. Users can install firmware on a compatible router. This means you can connect all your devices with just one device. This will become apparent in the next section. If there is one area where ExpressVPN falls down it is here. The service only offers three simultaneous device connections which are less than many of its rivals. However, if you have a compatible router as mentioned above, this counts as one device only. If you use this method, you can connect all your home devices while keeping the other two connections for your mobile devices when you are away from home. The other area ExpressVPN hits users is in how much they cost. You can see this if you look at NordVPN Vs. ExpressVPN. Nord is cheaper, but not by much, but, ExpressVPN comes with a more extensive network, more uptime and is far better on features. This extra cost enables you to have the very best premium services from the worlds premium VPN. With all this in mind, let’s take a look at the ExpressVPN price. They have one plan which varies in cost depending on how long you sign up for. In this section, you can see they do command a little higher. This might put some users off trying them, and then seeing how good they really are. ExpressVPN has this covered. They offer one of the best 30-day money back guarantee’s in the industry. No questions asked of why you don’t wish to continue. 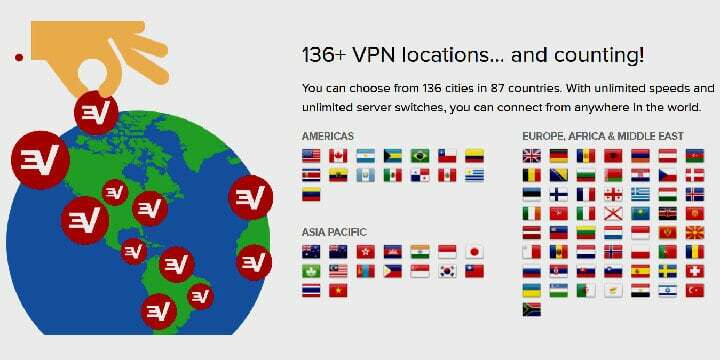 This in effect gives you a 1-month ExpressVPN free trial to test all that they have to offer. If you do sign up and wonder what payment options there are. ExpressVPN accepts credit cards, PayPal, Bitcoin, Alipay, UnionPay, and many others. Once you have signed up and installed the client, you might be wondering where their servers are. The company has 148 server locations based in 94 countries. This includes all of the more populated areas, and they also cater well for regions such as Asia, Australia and most importantly New Zealand. Any user in New Zealand should take advantage of this one month free. Not only do ExpressVPN give a 30-day money back guarantee, but they also make it really easy how to cancel your subscription and obtain your refund. Here are some brief steps. After this, click the Need help? Chat with us! To open a live chat. Now just tell them you want a refund. You will be advised your refund will be there within 5 to 7 working days. ExpressVPN sets the trends for many other VPN services to follow. As of yet, there are none who can match what they offer across the board. Companies that provide more device connections, but using a router negates this problem area. Some other VPN providers are cheaper, but they keep logs and do hand it over to authorities, or they don’t access Netflix. For a NZ VPN, there isn’t another one out there which is more suited to what the ideals of what a VPN should provide. All these companies oversell their features and the benefits they say they can bring. ExpressVPN doesn’t oversell its services because its customers, and the many reviews that still say it is the best VPN do that for them. 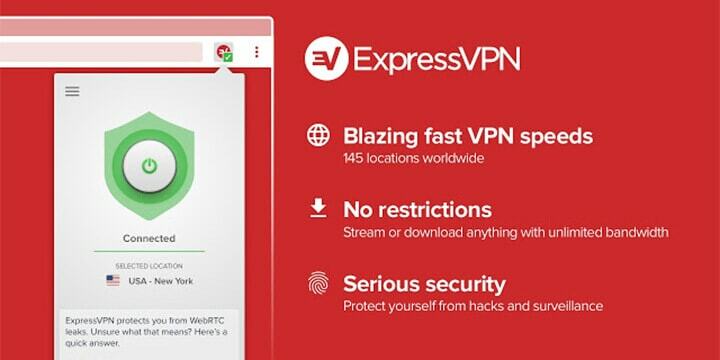 ExpressVPN keeps your connection safe and secure, that is its primary focus, and it does that better than anyone else.